Non-profit organizations are the fastest growing sector in the U.S. As you’ll learn in today’s interview, working in non-profit jobs provide a great opportunity to live your passions and combine them with your skills to make a difference in the world. Today is the 9th anniversary of the day my mom was diagnosed with terminal cancer. That remains the worst day of my life. 9 years sounds like a long time, but it still feels like yesterday. To bring some positive energy to this day, I thought it would be good to focus on non-profit careers: specifically in the area of cancer research. 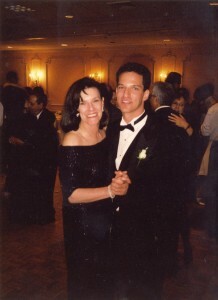 Just like I’ve written about my mom’s death before on this site, I’ve also written about the importance of doing volunteer work and how I am a volunteer board member for Concern Foundation, a grassroots cancer research charity that has raised close to $42 million for cancer research. SHARE your volunteer and non-profit experience below in the Comments! Worst Job Ever: Never had one! Cool Trivia: Derek’s uncle Herb is the A in A&M Records! Today’s guest is Derek Alpert, the President of Concern Foundation. He shares great insight into non-profit jobs. Derek explains the importance of passion for whatever career you choose – but especially for non-profit careers, where you can really make a difference based on your passions. Whether you’re passionate about the environment, the arts, healthcare, animal rights, education, fighting poverty, or even genocide in Africa, there is a non-profit out there for you. And if you can’t find one: you can always start a non-profit! Non-profits differ from for-profit organizations in that they use their surplus funds to support the cause they’re fighting for rather than distributing those funds to their owners and shareholders. Some non-profits are massive organizations with huge infrastructures similar to major for-profit corporations. Others, like Concern Foundation, rely mostly on volunteers to advance their mission and can therefore keep overhead costs low. Non profit salary and workplace environment can vary greatly from one organization to another, but you can probably count on a lower salary than you would find in a for-profit organization. The best way to get started is to figure out what cause inspires you, do some research on line and get involved – do some local volunteer work and see what type of work and organization you like! If you’re in school, consider getting a non profit management degree. Careers Out There Host Marc Luber: Hey everyone. Welcome to Careers Out There. I’m your host Marc Luber and we are helping you find a career that fits you. Today we are looking at non-profit careers. 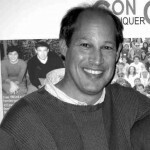 Our guest is Derek Alpert , the president of Concern Foundation, which is a Los Angeles-based cancer research charity. I’m a volunteer board member of Concern, so you may have seen me mention it a couple times on the site. Today is the 9th anniversary of the day my mom was diagnosed with terminal cancer – it by far goes down as the worst day of my life. So to turn June 14th into something positive, we are focused on the incredible mission of devoting your career to working in the non-profit space. In Derek’s case, he’s running a non-profit devoted to finding a cure for cancer. So let’s meet Derek. Derek – welcome to ‘Careers Out There’. Guest Concern Foundation President Derek Alpert: Thank you Marc. Nice to be here. Host Marc Luber: So tell us Derek as you are President of Concern Foundation, what is Concern Foundation? Tell us about the mission of Concern and tell us a little bit about the history of the organization. Guest Concern Foundation President Derek Alpert: Concern is an independent non-profit organization that’s based in Los Angeles that was founded in 1968 by 14 Los Angeles couples that had a friend that was diagnosed with terminal breast cancer. And in the short time that she had to live, they wanted to give some meaning and purpose to her life. And in 1968, there weren’t a lot of options of places to go to raise money to make a difference in the fight against cancer. So they decided to start their own organization and they called it Concern Foundation, which is an acronym for Conquer Cancer Now. The goal of Concern is to raise funds from private individuals and to grant seed money to young cancer research investigators looking at the causes of why some people are diagnosed with cancer and others are not. Basically it’s a study of the immune system – what’s breaking down in the immune system – to hopefully get us closer to finding a cure for some cancers. Luber: Excellent. And let’s give the url for the site for those people who are watching. It’s concernfoundation.org so if you’re watching this interview and you want to follow along with the website and even if you want to donate, you can donate to the organization through the website so we’ll probably mention it more that once during the interview. Okay, so then tell us where does the money come from that comes to the Cancer Concern Foundation? Guest Derek Alpert: The money comes from individual donations. We have a sponsor program, we have annual memberships, we have tributes that people send out for happy occasions, for sad occasions and we do several fund raising events in the Los Angeles community. It helps us raise money and most specifically we have our annual block party which was started on Rodeo Drive in the early 70’s and has now grown to a place where we have about 4000 people on the second Saturday of July, this year it’s July 10, and we’ll have between three and four thousand people, 60 food vendors, all donating, and in one day we’ll raise a little more than 1.5 million dollars all for cancer research. Luber: That’s amazing and then, tell us what percentage of that money goes to the cause itself? Guest Derek Alpert: For every dollar that Concern raises we have a formula put together here, that 95 cents of every single dollar is going directly to Cancer research scientists. Luber: So Concern runs a tight ship. Guest: We run a very tight ship, it goes back to the old adage, ‘if you don’t ask you don’t get’ and we ask for a lot of favors within the community. All the printing that’s done in the organization is donated, all the food vendors that are at our event are all donated, our office space is basically donated to us and that’s really how we work. Again we got to go out and we’ve got to respect the donors’ dollar that is giving us the money to make sure that, that the dollars they are giving us the majority of it is going to the cause. In our case which is cancer research, and not into salaries, not into lavish offices and things that you don’t have to pay for. Luber: And when we say cancer research, we are talking cancer of all kinds, right? Guest: All cancers, right now we are funding 13 different types of cancer, we have 54 cancer researchers in the United States and the Carolinska Institute in Stockholm, Sweden and Hebrew University in Jerusalem. They are all doing basic cancer research studies because of the funding that we are going to provide for them. Luber: That’s amazing, that’s great, so you guys that are watching if you’re interested in the block party – the block party is a high-priced ticket for someone who’s in school. It’s $350 a person but it’s an amazing event, and maybe you want to come with your family – if you’re ever travelling to Los Angeles and you’re looking for a great, great July weekend night out. It’s at Paramount studios, outdoors, you feel like you’re on the set literally. With many kind of shows and movies: and it’s like a fake New York and there’s a block that’s fake Chicago and you’re outdoors with music and food and if you’re from Chicago you know taste of Chicago. This is kind of like taste of Chicago on a higher end kind of a scale. It’s a great night out, a great time. And obviously like Derek said it’s raising a lot of money for cancer. Cancer research. So okay this is not a commercial for Concern so we’re going to talk now about running a non-profit and the role that’s involved there. What does it take and what does someone do who runs a non-profit? Derek here is a President so he’s going to be able to share with us what it’s like, this is a non-profit with a lot of history, so it’s a little different than starting one from scratch but it’s still a very grass roots non-profit. So you can really learn what it’s like to have this hands-on role of running a non-profit, so I’m going to shut up, Derek, and let you talk. Tell us as the president of a non-profit what is your role, what do you specifically have to do and what is your role in raising the money and running the show? Guest: I think my role is that of basically a traffic cop. I’m involved in every aspect of the organization everything from, meeting with cancer researchers to find out what is going on, meeting with the scientists that help us decide where the monies go, to organizing all our fund raising events, to dealing with our donors and our sponsors on a regular basis, to make sure that they continue to contribute to us as opposed to another organization. It’s running an office of three and a half full time people, it’s doing the bank deposits, it’s everything. And when I took on this role my feeling was that I won’t have any of our volunteers, anybody that’s involved with Concern do anything that I won’t personally do myself. So when it comes to our events, if there’s a truck that needs to be unloaded, I’m there unloading the truck. If we need to clean up after an event, I’m there sweeping the floor, because I want volunteers to know that part of what we do here in order to maximize the amount of money that does go to research comes from the people that actually have to roll up their sleeves and do it. And there’s no job that’s beneath me. And if I set that example, I think the volunteers will follow suit with that. So I really do a little bit of everything. board members, are you talking to donors or people from the community who’s the typical interaction what type of person and who would it be? Guest: Every day varies, and every phone call varies. I mean we have so many things going on, on a regular basis and we’re obviously planning our block party now, because it’s a month away from where we are. So I’m dealing with, I mean I could spend half a morning working with the rental company to ensure that we get the proper rentals from them and what each restaurant needs. And then the next phone call may be dealing with a sponsor that is delinquent in paying his sponsorship for this year but still expecting the tickets to come to the event. And the next phone call might be the management of this building telling us why they haven’t been emptying our trash cans on a regular basis. I mean, this morning alone the conversation I’ve had this morning with our honorary I’m working with him to help finish raising money that he’s trying to raise for the organization. I did speak to a rental company, I spoke to a casino company this morning and got them to knock a $1000 off their bill that’s going to come to provide the casino for the event. I did have a conversation with the woman that runs this building because she isn’t cleaning up the offices properly. I had our chairman of the board who was in here for about an hour talking about some of the things that are happening in the board right now – the restructuring of the board. And when this interview is done I’ve got 4 more meetings today and two of them have to do with the researchers who we’re to begin funding starting in July. So I’m really again, everyday different hats all day long, and you just have to be flexible and be able to go from one thing to the next. Luber: And is that fun – is that one of the fun parts of the job or is it one of the bigger challenges, where does that fit in – fun? Challenge? Guest: I think everything I do is fun, if it wasn’t fun I wouldn’t be doing it. Is it a challenge? Absolutely! You’re on your feet all day, you got to think on your feet, I’m negotiating all day. My goal is to spend as little money as possible on things that are less important, so I give more money to the things to us that are more important like research. So I’m negotiating, I’m playing devil’s advocate a lot. I’m playing peace keeper when board members have ego issues and they don’t get along in a meeting. And I’m trying to bridge that, I’m trying to keep our staff motivated and help them understand why, when some other organizations have 20 in staff, we have two and a half people here in staff. And I’m trying to explain to them why we don’t want to take on a higher administrative overhead, yet we probably do as much on a daily basis as organizations that have 20 people here…..and why they are doing so many different things. And I think the example is that when they see that I’m involved in all aspects of it, they sort of get with that idea that they can too wear multiple hats. Luber : Since we’re talking about staff I want to dig into that and learn what are the different roles in a non-profit like this? And then I also want to circle back after that to how are the decisions made on where that money goes? To what kind of research, to what researcher, into what hospital? So let’s, but let’s start with digging into the staff. You have the three and a half people full time. What kind of roles are those and how does that differ from other non-profits that you know of that are of a similar grass roots nature? Guest : Well we ….. the history of Concern really for the first almost 30 years was all volunteers – there was no office. And whoever was the president at that time, or the chairman of the board at that time, they ran the organization out of their office. So that was a rotating thing so every 2 years somebody new was picking up the mantle to do all of the administrative. About 12 years ago Concern decided that it was an inefficient way of doing business so they decided to sort of bite the bullet and to start with a small office we had one employee. And as the needs and as the changes come in the non-profit sector where there’s more accountability, there is more need for auditing or audits, there is more need to find new sources to raise money, it became clear that we needed to add a couple of more people to our overhead. I mean we were working on zero overhead – so 100% was going to cancer research and now we’re at 95 cents. So the roles are really, the way we have it defined here: I have a finance manager that comes to Concern 3 days a week and she handles all the book keeping and all that and works with our volunteer CFO. We have an office manager, sort of administrative assistant that really wears a lot of hats and she interfaces with everybody. And then I’ve got a director of donor relations and she’s really more involved on a daily basis with our donors and our tribute programs and trying to develop new funding sources. New opportunities to bring into the organization where we can raise more money, more community awareness and things like that and so we all work on everything together. There’s nothing that anybody else in the office doesn’t do that I don’t do and there’s not a lot that I do that they don’t do as well if I’m not here. Luber : So for people who like team work it’s a good kind of a role. Guest : It’s the only way really, if you don’t have team work you’ve got nothing here the engine really collapses. We’re volunteer based with 37 members on our board. We are all volunteers so it’s really the office staff is the glue that really holds this organization together and keeps the board motivated, keeps the donors motivated and really does the majority of the community outreach. And finding those again, the new sources for raising money and awareness. Luber : Great. So let’s circle back now to that other question that I had about where the money goes and how those decisions are made, because there’s all kinds of research charities there are …. people might be interested in Diabetes or who knows what and they have to do the same kind of thing that Concern has to do. Explain how that process works and how that money gets divvied up. Guest : Okay, for us the process is, we’ve gone to for the last decade a peer review. So what happens is junior investigators, cancer research investigators, send in a grant application based on our criteria. They have to be at a certain level, a faculty member of a certain level. They can’t have funding from other sources or other government sources. Luber : And this would be someone like at a university? Guest : Most of them are in university, and at university level most of them are associate professors. These are young investigators who are trying to get their start in the cancer research community. So, and there’s sort of a Catch 22 when it comes to funding research when it comes to the government. You can’t get government funding without having published papers or having come up with some finding, but you can’t have published papers or findings without having the funds to be able to do that work. We sort of fill that void, to give these young investigators their jump start in their careers, so that after the 2 years that we fund them that they are able to go out and apply for grant applications from other sources, especially through the national institute of Health. So we have a peer review that the grant applications come in and there are senior scientists from around the world that do a primary review, and then a secondary review of each grant application, then every 2 years we bring them here to Los Angeles and we have a one day meeting where they discuss all the applications. The merits of the work, the probability of success for that work, what they think of the applicants. And they rank them one to however many are being reviewed that day. And then they make recommendations to us on how many of those researchers to fund. Luber : Okay, Excellent. And then what is when you fund somebody how much money are you giving? Guest : We’re giving investigators 50 thousand dollars a year on a 2 year grant. So it’s a two year maximum grant. It’s 1 year, if there’s progress after the first year. And then again the progress is reviewed, if there is progress then we fund them for a second year. It’s really a 2 year program. So it’s really a $100,000 to get them to jump start their careers. Luber : That’s great. So there’s people out there who have careers now who got them started years ago by Concern. Guest : Absolutely we have lot of people today that Concern’s been around for 42 years. A lot of people today that are now running their own cancer research facilities. They are, one of my closest friends is running the entire cancer center for a Children’s Hospital of Los Angeles and Concern was there early on in his career providing funding so he could get that laboratory going. Guest : That’s really what it’s all about. Luber : And there’s some international funding done by Concern as well, right? Guest : There is, we are funding the Carolinska Institute in Stockholm, Sweden which if you’re not aware, that’s where the Nobel prize for medicine comes from. And the researcher that runs the laboratory that we are funding was the head of the Nobel prize committee, George Klein, and so we are funding his laboratory every year and he’s got 18 researchers, we give him $150,000 a year. And there’s 18 researchers in Sweden that are working off of that money. Shows the difference between the dollars in the United States versus Sweden and we have a laboratory at the Hebrew University in Jerusalem and there are 14 researchers there that are working based on the funds from Concern and we give them about $100,000 a year. Luber : That’s great. I think that paints a good picture for everybody. Tell us this. And this is probably – I’m sure everyone can guess what the answer is but what is the most rewarding part about what you do? Guest : The most rewarding part is, Marc, there are several parts that are rewarding. When we do an event – to step back in the middle of the event and find the highest spot at the event and to look out at the crowd and you see 60 restaurants, you see 4000 people, you see everything that you had planned for 6 months actually coming together seamlessly and people are happy and things are really working. That’s a huge, it’s such an incredible high to be able to see that. Clearly to go to a laboratory somewhere in the United States or around the world where there’s a researcher that we’re funding and have that researcher shake your hand or give you a hug and say you know what if it wasn’t for you I wouldn’t be doing my work today. Because of the work that I am doing today I’m seeing X number of patients, or we had this sort of break through, or we are making progress here because of the money that you gave me I can do that. And of course the biggest reward is I try and stay involved with cancer patients as much as possible and mostly pediatric patients because I have a special love for kids and to go to Children’s Hospital where I’m also involved as a volunteer and to walk down the halls and to see kids and families that I’ve now seen for over a decade that are survivors and actually just coming in for a routine check-up: to see them happy and healthy and back in school and being productive and knowing that because of the monies that we gave to research that they are alive today. The best part is cancer is an epidemic, we know that. You are hearing about more people being diagnosed with cancer today than ever before and that’s because the diagnostics are there today and people are early detection is a key to that. But the key to the other side of that is there are more survivors today: nearly 13 million cancer survivors today. If you can go to a doctor and be diagnosed properly and treated properly your chances of survival are that much greater. And when I started in 1979 as a volunteer there were, for childhood cancers in particular there was about a 45% chance that the child would survive with cancer. Today over 85% of all children diagnosed with cancer are surviving. So that’s what it’s all about. Luber : Yeah – research pays off. Guest : Research does pay off. Luber : So then what’s the most challenging part. What would you tell if we had to weed people out who are considering doing something like what you do as a full time person. What would you say if you can’t handle this, then this path is not for you. What would that be? Guest : You’ve got to be a multi-tasker. You’ve got to be able to deal with people, you’ve got to be able to think on your feet. You’ve got to be passionate about what you do. I really care, it’s interesting. I don’t have anybody in my family, knock wood, that has cancer – but I’m very passionate about cancer which is sort of an interesting thing and sort of looked at it through the years – years ago as a volunteer – as an insurance policy. God forbid if somebody I know is going to be diagnosed with cancer, I know that I’ve done something in my life to make a difference and that diagnosis doesn’t have to be fatal. But you have to be thick skinned, you have to not take a lot of it personally, you’ve got to be a people person. You got to just care about whatever it is you’re doing. And I think if you do that in any career you can be successful. To me this is not a job, I live this everyday. And I don’t let it consume me but it’s a part of me everyday. Luber : And the consuming word, that leads to my next question actually. About the lifestyle – is it a high stress, long day kind of a lifestyle? Can you have a life work balance with something like this? Guest : I think it’s like any career, if you want that career to consume you and to be your life it can and I’ve never allowed any of my careers to do that. I’ve found balance. I live this organization every single day. And, but it doesn’t overwhelm me. I still have time to go to sit there at a Dodger game, spend time with my children, go spend a weekend with my son at his fraternity parties and things like that. Because I think you’ve got to have, you’ve got to find that balance, you’ve got to find that middle ground. Because any career is going to chew you up and spit you out and sort of what’s happening in the world today, as jobs are going away, some of these people that I know let their jobs be their entire life, when they lost that job they had nothing to turn to they had no where else to go because they had no balance. Whatever you do you have to find balance. Luber : And what about the dress code. You’re not wearing a suit, you are not wearing a tie. Is the non-profit path something where everyone could do their own thing? Guest : It depends on the non-profit that you are working for. There are days when I do have to wear a coat and tie and look like an adult. But there are days like today when it’s really all office work and we’re in here and we’re on the phones and it doesn’t really matter. And I had an honoree here today who we’re dealing with and he’s very casual so if he’s in a casual mode then I’ll be casual. When we are dealing sometimes with the hospital with the researchers, it’s a more formal atmosphere so you have to be formal. And again every organization is going to be different. I prefer to come from a place of a working environment that’s more casual cause I think you are more productive when you are feeling comfortable. I’m not a suit and tie kind of person. Luber : I relate to that. So you were mentioning with personality that multi-tasking is important and that kind of brings us to skills because that would fall within skills too. What other skills would you say someone needs to have? And maybe it’s different according to each different role that’s available in a non-profit like this. But what are the skills that you would tell someone to really be trying to make sure that they are developing if they’re either in school or maybe they are in the working world thinking about a career change in the non-profit sector. What are some skills you would suggest really be able to hone? Guest : I think to be effective, the # 1 skill is you have to be a people person. You have to know how to deal with people, you have to know how to deal with personalities and egos and you have to realize the role that you play- in the non-profit world the owners of the non-profit are our board members. The people that I have to answer to not on the board are our donors- I have to be very respectful of their money – they are working very hard to earn money and I have to be thankful that they are giving me a piece of their earnings. And I have to be very respectful how that money is spent. The most important skill has got to be being able to communicate with people and deal with them and understand what their needs are what they’re thinking at the time and we also at times have to deal with people that are in the middle of loss. That want to do something – they are feeling that sense of I don’t know what to do I just lost a loved one or someone was diagnosed – where do I turn, where do I go, who do I talk to, you got to have compassion. And I think that the one thing that is not really taught in school and that’s communication. Proper communication – how to sit across a desk or in a couple of chairs and then talk to people and relate to people and understand where they are coming from and what their going through. Luber : Very good point. Let’s stick with education. What type of education would you say is the right background for someone to be coming at the table with for a job like this? Guest : There are so many great programs in universities that I probably would, had I known that I was going to have this part of my career be in non-profit, I probably would have taken more classes in non-profit management. And there’s all kinds of great programs – USC has a great program – most universities today have them because non-profit is the fastest growing sector of the work force these days. There are all kinds of classes – like grant writing and things of that nature – again, depending on the kind of organization that you’re looking at or looking to be involved with, you should really focus on that as your path and go to a counselor at college and ask them I want to be involved in the public sector, what are the things that I need to do, what do you offer that I should be involved in, what classes should I take. Communication is important, certainly. Basic education is always important because you can’t take any of that away. But really, if you want to get involved in non-profit, go to non-profit management. Luber : And then if someone’s already done with school and they are out there in the world, they can change careers into this – you changed careers into this, this is not what you always did. From the looks of your room there, it looks to many I would bet that you were once a rock star. Tell us about your former career and how that led to this and then explain can other people make a similar kind of change today. Guest : Anybody can do anything they want to do. And I tell my kids that as well. And whatever they are going to start up their career in may not be where they’ll end up. Clearly I’m an example of that. You’re right I was not a rock star, I sort of missed that one but I did work for a record company and then I worked for a music publishing company for 27 years. So that was my basic roots of what my career was and I knew that that’s what I wanted to do and I had family that was in the music industry. And I knew, that that’s what I wanted to be, I didn’t want to be on the performer’s side I wanted to be on the business side, and I loved that part of it, I loved the creative part. Without getting on stage. But early on when I was working full time in the record company I was introduced to Concern Foundation by some friends and they told me about this organization and at the time they wanted to start a young adult division. And I really had no interest and I’m thinking cancer research – I’m going to have to learn about test tubes, microscopes- all that stuff that I never really liked, science was never my thing. And I went to a meeting and I heard about what this organization did and I saw some of the results of the work that was being done and part of that tour was at Children’s Hospital. And to walk through the wards and to see the patients in their beds and see the family members. And at that point I knew that I had to do something to help these people so I volunteered for this organization back in 1979 way before there was no thought that I would was ever going to come and be here full time. And I just got involved in Concern – I got involved with a couple of other organizations and then when the career – the company that I was working for was sold to a large corporation. The company I was working for was an independent – it had 2 owners- you could walk into their offices any time – it was very casual – it was about music and creativity – and then when the company was sold and the music industry changed – it became a more mature industry and wasn’t about creativity – I thought about trying to get a job with the corporation that bought our independent company. And I said you know what- I just don’t think I could do that – I want to work in a place that I am passionate about – and because of my involvement with Concern as a volunteer, the chairman came to me and said well since you’re at a crossroads with your career, how would you like to come and take Concern from where we are now and take us to the next level? And I was like, man I never thought about doing it full time. But I’m doing it anyway so yeah let’s jump in and let’s do it. And so that’s really how it happened. Luber : And so the skills – would you say that there was an easy transfer of skills from what you were doing before to running a non-profit or was it a whole big learning curve? Guest : Well because of my involvement I knew all the board members. I knew a lot of the donors, I knew a lot of the people so that transition was easy. Is it hard to sit in the office everyday and not have music blasting like it was in my old office? Absolutely! But again I think I took all that creativity of what I was doing in the music business and brought it here and we’re more creative on the events that we do, more creative on some of the publications that we put out, more creative in the way we approach our fund raisers. And we do things differently than most organizations. We don’t do black tie, rubber chicken dinners in hotels – we do a block party that’s very casual that people when they get the invitation it’s not oh do I have to go, it’s honey we’re going to make sure that we go – because it’s something that people want to do. And so I think part of my background helps continue that evolution of looking at things that- the same way that we looked at music – if it’s something that you really loved then it’s probably the right thing to get involved with. So we don’t do events here- we don’t get involved with things here unless it’s something that we feel passionate about it and feel like if I got this invitation would I want to come. You really have to take, you have to go with your gut- and I learned a lot of that in the music business. Luber : Interesting bridge – it’s an interesting change – yeah. So let’s talk money for a second because whether switching careers or coming straight out of college into a path like this, everyone hears the word ‘non’ before the word profit and so they think uh oh, there’s no paycheck! If you’re a volunteer there is no paycheck but obviously if you’re full time there is a paycheck. Does it mean if you’re going to work in the non-profit sector that you have to make way less money than you could anywhere else? What could someone expect salary wise if they want to go into the non-profit world? Guest : I think it depends on the organization. There are some extremely large organizations out there, the multi-national organizations that pay their employees extremely well. Which I think if I were younger and I really cared about, if money was the over riding factor of why I was involved, I think that would be important to me. And I could probably get paid a lot more money than what I am getting paid here. My feeling is that I’m doing this out of passion and I want to see as much money going to the cause and where it should go, it shouldn’t be coming to me. In the music business I flew first class, I stayed in four star hotels and we had limo services. I don’t expect that- I would never want that here – that’s not what this organization is all about – that’s not what to me what non-profit is all about. But there are organizations out there that fly their executive staff first class, and put them up in four star hotels, and they live in penthouses in certain cities and all that’s out there if that’s what’s important. To me my choice was to be more passionate about, something that’s more hands on – that I can really make a difference in – and again it all depends on you. You have the opportunity for both and you have to decide what’s more important to you and find that balance. But clearly the non-profit sector does not pay as well as the for profit sector – but I’m not so sure the for profit sector isn’t actually using the non-profit model more today than they were before. I think the days of excess and big expense accounts and lavish dinners – I think that’s gone in most cases in the for profit sector. You don’t have that in non-profit. Luber : Let’s say if someone is coming right out of school and they’re going to be starting in an entry level role. It doesn’t have to be what Concern would pay but a range of what organizations like Concern- a grass roots non-profit – what’s the range that someone could expect if they’re – like your kids right now getting out of school? Guest : I think entry level position in an organization of our size, an organization that raises about $2.5 million dollars a year. Entry level is somewhere between $28,000-$32,000 a year at entry level position. In other organizations it’s a little bit higher than that. But as you progress through if you stay with an organization- we are very generous with our employees – in bonuses for work that’s accomplished – for monies after monies that are raised – and for longevity. So you can grow into it but you’re not going to grow into it as fast as you would in the for profit. At least in the olden days. Again I think everything, the rules have changed. I think and I’m not so sure that entry level in most businesses today isn’t on par with what most non-profits are paying. Luber : Everything is shaken up. Guest : I think you have to be realistic, you have to have realistic expectations. I mean if you think you’re going to walk in to any organization whether non-profit or for profit, you’d get the corner office and a secretary and $100,000 a year and expense accounts and all that stuff I think you’re dreaming – it just doesn’t seem to exist anymore. And I tell my own kids – I’ve got a daughter that’s 3 years out of college and she’s on her second job but she went from one job that she was actually cherry picked out of that job to a better job for her and she’s making I think in the mid-$40,000s in her second job but she is only 3 years out of college and I think that it’s money that she can live on – it’s not in excess but she’s not struggling, she’s not coming to me to help supplement her income. I think you have to keep it all in perspective but she is at a place right now, in a company right now that is something that she can really grow into and if she sticks with it long enough she’s going to get higher and higher up that ladder and get the benefits of being with that company. I think non-profit sector is the same thing: start low and grow, grow with them. Luber : And if I’m interested in the non-profit sector and I’m either in school or I’m out there and kind of trying to figure out trying to feel out if this is really something I want to go for. You said if you were in school you would be taking the non-profit management classes. Are there any other things – any extracurricular activities or any other things people could do? Perhaps just volunteering? Guest : Any kind of involvement. Anything that’s dealing with event management – if you happen to be in a fraternity or sorority, get involved in organizing and planning those events – that’s what we do in our work. We are event oriented – we have to raise money for our events so we have that kind of experience of putting on a dance-thon or a barbeque – things of that nature. All of that stuff plays into how do I take that and do it on a larger scale? And raise the bar of the kind of monies that can be raised. Yeah I think the key to all of this Marc is having a passion for what you’re doing. And volunteer wherever you can. If you love kids work with kids. If you have a commitment to one disease or another or the environment or something like that get involved and see what it is that big organizations are doing to make a difference. Then figure out, look at the picture and say how do I fit into this picture what piece of this puzzle can I be, that’s going to help enhance that organization. Luber : Yeah, Yeah, Very good advice. Let’s say I’m ready right now- I’m ready to dive in – I’m out there in the world already looking for a career change or I’m coming out of school – I know this is what I want – I’ve volunteered- I want to find work now. Whether I’m in Los Angeles or I’m in Dallas or Vermont, wherever. I want to volunteer but I want to be a full time employee- I want a non-profit career. I’m ready for it – what should I do? How do I find it and how do I get it? Guest : Network! Find out, first of all decide what your passion is – do I want to be involved in cancer, do I want to be involved in the environment, do I want to be involved in animal rights – and look at that segment of the non-profit community first and see what’s available – see what organizations are up. Do your homework. Find out what they do, how do they raise their funds, what kind of people are they looking for? Talk to everybody – there are very few people that I know that aren’t involved in some sort of charity work – some sort of non-profit. Find out who they give to, why do they give to a particular non-profit? One of the people that’s working here at Concern, she was in another organization and she was happy. She was in another cancer organization, she was happy but her grandparents said you know what you’re doing work for another organization but we support Concern. Maybe you should talk to the people at Concern because why shouldn’t you be working for the organization that we’re supporting. And she called me up and I said well we don’t have anything right now but I’ll keep you in mind and when there was that opening she was the first person I called and I did it for her grandparents because of their involvement, but I also did it because she had a passion and she was proactive in coming to me and saying this is where I should be. And again, it’s all about having that passion and the reason why you want to be involved with an organization. You have to sell yourself. Luber : Yeah, Yeah, no matter what you do. Guest : No matter what you do. Luber : Yeah, that’s great. Keys to success! Are there any things that you haven’t covered or which you want to repeat that you feel you would say to someone even if it’s not necessarily for non-profit but just career guideposts – some keys to success? Guest : I think the biggest key to success is passion. You’ve got to be passionate about, you’ve got to get up every morning and jump out of bed and- it sounds cliché- and want to go to wherever it is that you have to go and do the things that you have to do and you got to do it with conviction, you got to do it with drive and you got to do it because you want to do it not because you have to do it. And I think the other part, that we touched on earlier, is balance. You’ve got to find that balance, you’ve got to balance your career and your family and your social life and your whatever other activities you want – you’ve got to find that sort of balance to keep yourself even and make sure that you’re out there in a lot of different segments of the world so that if this industry were to fall apart, you’ve got other places. You’re known, you’ve got your fingers in – so you’re known – you’re out there – you’re networking – not that you’re looking to change careers but if you have to, you’ve got a place to go – you have people that know what you are know what your value is. Luber : You don’t want to be that person who the company disappears and then you crumble because you felt that everything that was you was wrapped up in that. Guest : There’s too many people that I know, in being part of music business for many years as I was, there’s too many people that that’s all they knew – they had nothing else in their life. When the business shrank down to where it is today and they lost their jobs, they had nowhere to turn because they had nothing else. So they’re trying to reinvent themselves, and they don’t know how to do that because they didn’t have anything else. I was able to reinvent myself because I had involved myself with this organization. I had involved myself with other things. If I wasn’t doing this, there was a very good possibility that I was going to go coach basket ball, believe it or not! Luber : That’d be fun, that’d be fun. Guest : It would be fun – and you know, someday I may retire into doing it. Luber : Well, Phil Jackson is going to retire at some point – you should look that role. Guest : I had a voice mail from my daughter when the Lakers were looking for a coach, and I still have it. I have it on a tape now. And she said Daddy I heard the Lakers are looking for a coach – can I send something to somebody and tell them that you want that job because I think you’d be great at it? I heard Phil Jackson and I said you know what, I’m not ready for that – I’m thinking more about junior high or high school. Luber : That would be a big step. That would be a big step trying to fill those shoes! Guest : Yeah, I don’t think that’s going to happen. Luber : Well excellent, excellent advice for everybody. As always at Careers Out There, you get real advice from real professionals like Derek Alpert here. Derek, thanks so much for joining us at Careers Out There. Guest : Thank you Marc, it’s my pleasure. Luber : Everyone let us know what did we cover well, what did we not cover well enough, what would you like to know more about? Let us know by sharing your feedback in the Comments section on the site. Thank you for watching – I’m Marc Luber and we look forward to seeing you again soon. Take care.